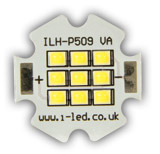 Intelligent LED Solutions (ILS) was formed in response to demands from customers and suppliers to provide products and a specialist service to the new and fast growing LED sector. 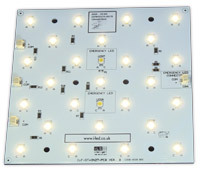 We operate principally in the UK and Ireland providing LED based solutions in lighting and other applications. ILS offers a high level of technical skill, professionalism and commercial understanding to those industries that are or will be using highly efficient LEDs and LEDs of any type. Offering conceptual advice, electronics design and manufacturing capability, we use high quality production resources in the UK and Asia providing project support from prototyping to high volume mass production. We also understand the need to provide cost effective solutions and we do so using high quality components to ensure that the end product reliability and quality is uncompromised. ILS is a franchised stocking distributor and agent for OSRAM OptoSemiconductors, OSRAM LED Systems,CoolerMaster, Copernica and Ledil. 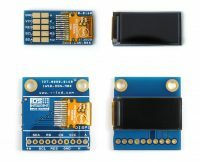 In addition we work closely with other LED manufacturers, Cypress Semiconductor for specialist Driver Solutions, Tyco for interconnect, and a number of other companies to enable us to provide power and driver solutions. 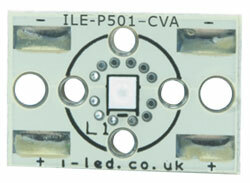 Intelligent LED Solutions has introduced its own range of products including LED strips, LED Coins, PowerStars,LED Flood Boards and LED Chains can be incorporated into your own housings. This range is increasing on a monthly basis and our standard products can be easily adapted or customized to meet your needs. ILS has well equipped offices, warehouses, a workshop and electronics lab in Thatcham near Newbury in Berkshire; we operate a bespoke computer system and have a Quality system that is BS-EN-ISO-9001:2000 accredited. ILS is a division of Intelligent Group Solutions Ltd (IGS) a well established respected industry leading display solutions provider. Much of IGS’ business comes from providing semi-custom or custom products both in component and sub-assembly form. This comes from providing design support and prototyping within the European market place with the capability to deliver production displays to wherever in the world that the customer’s manufacturing or assembly is being undertaken. ILS aims to duplicate this business model to the benefit of our customers. ILS/IGS is a privately owned company and the owners are fully involved in the running of the business. All the senior staff have been involved with the Optoelectronics industry for at least 15 years and are dedicated to ensuring that ILS is an innovative and highly successful operation.